Posted on June 9, 2017 by Matthew Leib. This entry was posted in Faculty Friday, Spotlight and tagged Faculty Friday. Bookmark the permalink. Most computer scientists seek to empower machines. Pedro Domingos would rather empower people. “You may not be interested in technology, but technology is interested in you,” he says, using a witting corruption of Leon Trotsky’s famous quip about politics to underscore why he believes it’s increasingly important for people to take an active interest in how artificially intelligent technology is coming to influence everyday life. A professor at the University of Washington’s Paul G. Allen School of Computer Science and Engineering, Domingos conducts research in the subfield of computer science known as machine learning, the process by which computers are given the ability to learn through the use of pattern recognition and data analysis—all without being explicitly programmed to do so. After an incubation period of several decades, the field has burst into popular consciousness—and everyday life—over the past several years with predictive algorithms increasingly omnipresent online, on the road, and around the home. One basic way machine learning affects everyday life is that it’s increasing peoples’ range, Domingos says, citing as examples Amazon’s use of algorithms to filter through millions of books to suggest ones you might enjoy or music sites’ ability to surface rare tracks that correspond to obscure individual tastes. One might think understanding how these algorithms function and evolve isn’t child’s play. But, according to Domingos, it’s exactly that. Letting a computer know more about yourself—your tastes and desires (and, by certain extension, your hopes and dreams)—helps the machine tailor a more natural experience that facilitates action—and interaction—within a given space. In essence, machine learning makes technology, well, a little more human. Many think it can also feel a little bit intrusive, stirring debates about privacy and power, all while producing a muddle of misconceptions. In an effort bring some clarity to a complex, often incongruous conversation, Domingos wrote The Master Algorithm: How the Quest for the Ultimate Learning Machine Will Remake Our World, a best-selling book that surveys how machine learning’s data-driven algorithms are shaping—and will continue to shape—business, science, and society at large. In it, he explores the impact self-teaching, data-driven algorithms are having on how medical diagnoses are made, how hirings happen (or, for that matter, don’t), analyzing and acting on global markets, and in many other fields. He cautions, however, that progress is not going to happen all at once. Nor will it happen without adequate understanding of the power on the part of people, who have a responsibility to look out for themselves as consumers and as citizens. It’s not so much that Domingos has come from the future to save us from ourselves, rather, he’s telling us that we have it in our reach to bend the future to our best interests. While concerns about the steady creep of computer technology should be taken seriously, Domingos believes the best approach isn’t to tune tech out entirely, rather, it’s to engage it head-on with a humanist approach that draws on the power of philosophy and ethics. It might seem a complicated—not to mention messy—conundrum. But Domingos says that when it comes to the ethics of artificial intelligence, it’s very simple. It’s only simple so far as the ethical spectrum remains incredibly complex, and, as Domingos will be first to admit, everybody doesn’t have the same ethics. He compares his work as a researcher who studies machine learning to that of a mechanic tasked with making sure a car is safe and in driving condition. He wants his machine to get people to where they want to go. It’s the kind of crash course Domingos determined early on would be worthy of his life’s work. Pedro Domingos has always been a reader. He almost was a writer. Once, as a graduate student at UC Irvine, he spent six weeks at the Clarion West Writers Workshop in Seattle writing science fiction stories. It would prove his first visit to the city he would later call home. While there, he had what could be considered the second great epiphany of his career. His first breakthrough had come several years before when he was still an undergraduate studying computer science and electrical engineering in his native Portugal. One day, he’d walked into a bookstore and spotted a book called Artificial Intelligence. His second time past the shop, he bought the book and read it. Doing so, it dawned on him that a key element to artificial intelligence was machine learning. Domingos witnessed it first-hand growing up in and around his father’s own computer center, which he’d established as part of his work as a professor and mechanical engineer who used the machines as part of his research on heat transfer and fluid dynamics. But, to Domingos’ eyes, even the highest of hopes for the burgeoning computer revolution seemed fatally short-sighted. Machine learning and its applications in the fields of computer science and artificial intelligence, on the other hand, seemed so far out into the future that Domingos determined it was a field worth fixing his gaze on. So he did, following a path from the Instituto Superior Técnico in Lisbon to one of the few programs in the world at the time to focus on artificial intelligence at UC Irvine. 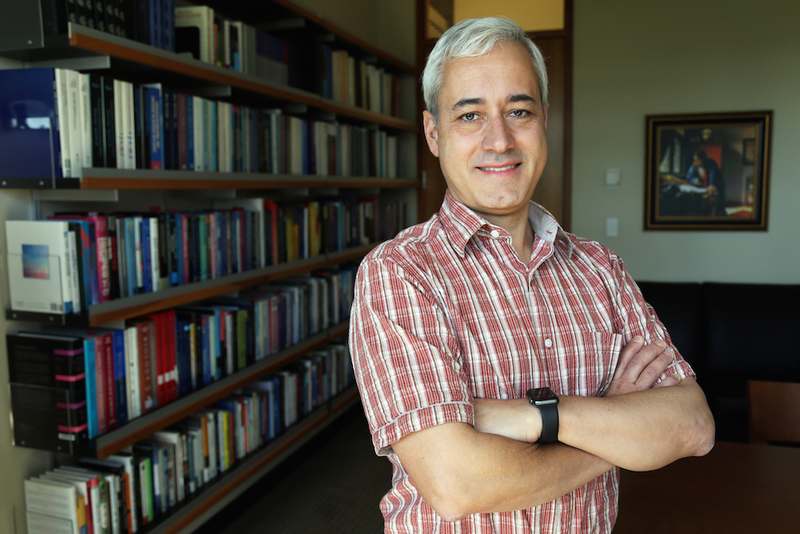 After receiving his Ph.D., he returned to Lisbon to teach for two years at his alma mater before joining the faculty at the UW in 1999 as the University’s first faculty member with a focus on machine learning. Even in the throes of the late ’90s tech boom, machine learning was still an exotic field. But for Domingos, that was all part of the fun. Over the next decade and a half, his work in machine learning would prove a dilettante’s delight as a steady stream of people from all kinds of fields started trickling through his door wanting to apply machine learning to a range of projects. It’s an apt metaphor for Domingos’ own unique vantage point on the progression of computing power into the 21st century. “We are in this phase where progress is accelerating rapidly, but it’s not going to accelerate forever,” he says, adding that the progress of technology typically occurs in S-curves, in which little happens at first, before a scant progress gives way to rapid acceleration, before slowing down again and settling to a certain level. He says he believes we’re currently at the beginning stages of one such phase of acceleration. Even so, he cautions that this doesn’t mean we’re fast approaching the technological singularity, a hypothesis that posits the invention of artificial super-intelligence will abruptly trigger a runaway reaction of exponential technological growth, resulting in unfathomable changes to human civilization. For one whose work is carrying the world into the future at a rate that seems faster than ever before, Domingos appears a man at ease in the present age. Hardcover books still line the shelves of an immaculate office. 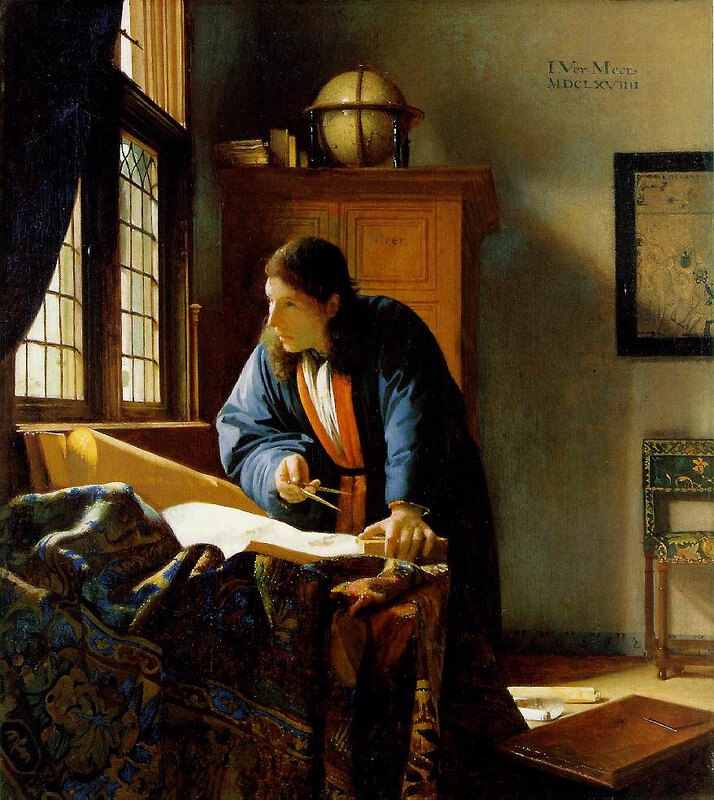 The painting depicts a geographer looking up from his charts and calculations—the expression on his face something between deep thought and a passing reverie, as though momentarily distracted by the world passing before his window. Over the course of our hour-long interview, the late afternoon light has shifted, falling in wide shafts across the floor and along the bookshelves of Domingos’ sixth floor office for an effect that is not dissimilar to the glowing light depicted in the canvas hanging on the back wall. Gazing in tandem at the painting, contemplating the question of what might be on the geographer’s mind, I find my own thoughts wandering to what else might be racing through the mind of the man before me. Whatever the future may hold, one could find some measure of comfort in the fact that the professor who has done so much to shape its course can still pause for a minute to meditate on the mysteries of the past. Pedro Domingos holds an undergraduate degree and M.S. in Electrical Engineering and Computer Science from Instituto Superior Técnico (IST) and an M.S. and Ph.D. in Information and Computer Science from the University of California, Irvine. In 2014, he received the SIGKDD Innovation Award Award, the highest honor in data science, for his foundational research in data stream analysis, cost-sensitive classification, adversarial learning, and Markov logic networks, as well as applications in viral marketing and information integration. Learn more about Pedro, his book, and other work here.